Close Off Your Home to the Resourceful Rat. One of the best ways to keep rats out of your home is by sealing up even small gaps. Rats are known for being able to fit into tiny gaps and cracks, but how do they do it? Our pest control Brielle NJ experts have some information you should know about these rodents. There’s a common myth that rats are able to squeeze through tiny gaps thanks to having a collapsible skeleton. However, that’s not true. Rats have solid, noncollapsible skeletons just as humans do. How are they able to get their bodies through small holes then? Rats have a body shape that makes this possible. Their bodies are long and have a cylindrical shape that allows them to get through small gaps and holes. Keep in mind that there are limitations. Larger rats can’t fit through smaller openings, but smaller ones can easily do so. Keep rats off your property and away from your home by closing up any tiny gaps or cracks you find with a good silicone-based caulk. This will help keep them out of your home. You can discourage rats from your yard by not leaving food or water around that might attract them. If you’ve seen rats on your property, contact Allison Pest Control right away. 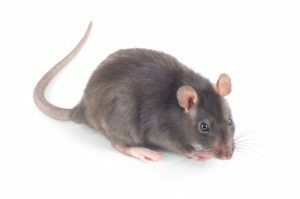 We provide prompt pest control Brielle NJ services, so you can have a rodent-free home.